Uumara Khan on What is Plant Placenta and What are Its Beauty Benefits? The determination to lose weight can have a toll on your skin. Many people only focus on losing weight dramatically without taking care of their skin at the same time. Many people were proud of losing massive amount of weight but another issue came up sagging skin. 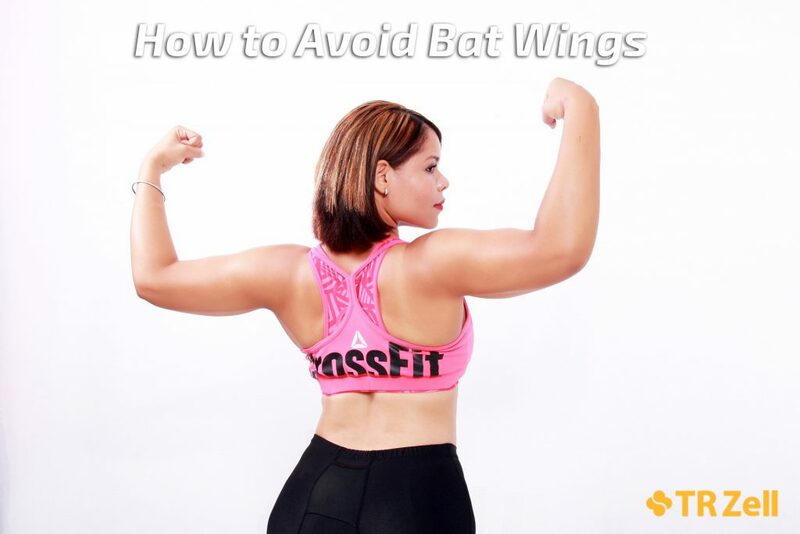 If you are worried about the unsightly bat wings from losing a lot of weight, there are ways to prevent that from happening. There are natural ways to tighten the skin while losing weight taking in consideration the amount of weight lost and the length of time your skin was stretched out. The top part of your skin is the epidermis that works like a barrier to hold moisture and protect the skin from harmful environment. The dermis is the layer under the epidermis that produces collagen and elastin to support your skin’s structure. Elastin is in charge of the skin’s elasticity to allow it to keep it’s original form after stretching and contracting. Collage strengthens the connective tissue in the skin, essential protein that keeps the skin firm, supple and constantly renewing the skin cells. Lose weight gradually at slower rate 2 pound per week to let the skin adjust to the changes and shrink to the new size. Losing weight quickly can compromise the elasticity of the skin and distort the contours of the face and body. Once you reach the ideal weight range is really important to maintain the current weight and exercise to keep the skin tight. When the person loses a lot of weight and gain it back constantly can damage the structure of the skin. Healthy and delicious food high in leafy greens, vitamin A, lycopene, vitamin C, omega 3 and lean proteins. Make sure you get daily doses of these vitamins to keep the skin in optimal conditions to adjust better to your changes. Exercise strengthens muscles creating a layer of muscle underneath the skin. This will help pull the skin tighter and contour the definition of the muscles. Exercise 1hr daily combination of warm up, stretching, yoga, cardio, toning set of exercises targeting problem areas and weightlifting. It’s extremely important to work out every part of the body but emphasizing more in the problem area to balance the proportions. Stay hydrated with water, foods and fruits high in water content. Water helps the skin stay moist and flexible from the inside out. While exercising you sweat a lot of the toxins. It’s extremely important to replenish the fluids to maintain endurance to finish the workouts without crashing from dehydration. Relax your body with exfoliating sea salt with peppermint oil shower soap, it’s rejuvenating, anti-bacterial, moisturizing and nourishing properties protects your skin from all the downside of working out. Keep your face moisturized, apply PBR super hydrating serum contains naturally occurring antioxidants which intervene in the metabolism of free radical and other substances produced by the oxidation of lipids at the cellular membrane level. Rich in amino acids and antioxidants, PBR helps protect your skin from being exposed to harmful pollution and enhances your beauty. Daily application of shea butter or cocoa butter body lotion to keep the skin supple and reduce stretch marks. These lotions are always used from early pregnancy because it helps the skin adjust after giving birth. Apply sunscreen SPF 15 and above every hour to protect the skin from harmful UV light that makes your skin age faster. People with sensitive skin can use UPF sun protecting garments and hats instead of constantly applying sunscreen constantly. After long exposure of the intense sun is strongly recommend to apply Aloe Vera after sun gel to relieve the damages caused by the sun. Pamper yourself after a week of hard work, get a massage to relax the muscles, increase circulation, and stimulate the skin tightening properties. Sweet almond oil is often used for massage to tighten loose skin. Adjusting your lifestyle and eating habits can change your life forever. These tips should become part of your daily life even after reaching your goals to maintain good health. The key to maintain a healthy weight in the long run is to keep all these habits for anti-aging purposes as well.